This FREE program helps veterans obtain a degree in a field of interest. Veterans Upward Bound is designed to motivate and assist veterans in the development of academic and other requisite skills necessary for acceptance and success in a program of post-secondary education. The program provides assessment and enhancement of basic skills through counseling, mentoring, tutoring and academic instruction in the core subject areas. The primary goal of the program is to increase the rate at which participants enroll in and complete post-secondary education programs. All Veterans Upward Bound projects must provide instruction in mathematics through pre-calculus, laboratory science, foreign language, composition and literature. 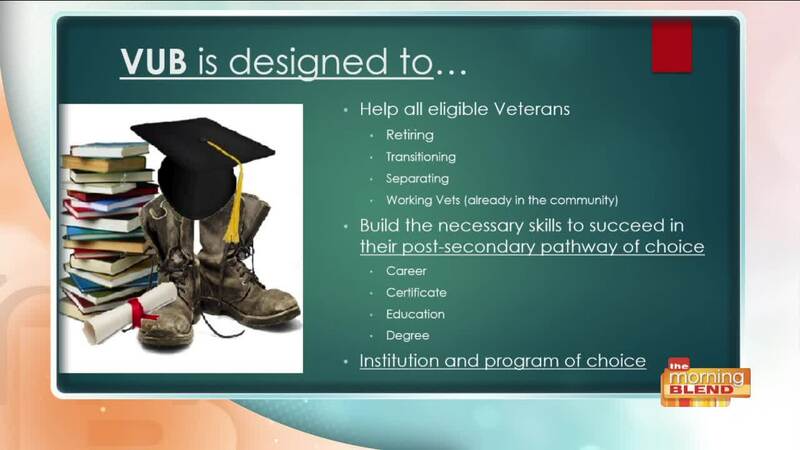 Projects may also provide short-term remedial or refresher courses for veterans who are high school graduates but have delayed pursuing post-secondary education. Projects are also expected to assist veterans in securing support services from other locally available resources such as the Veterans Administration, state veterans agencies, veteran associations, and other state and local agencies that serve veterans.